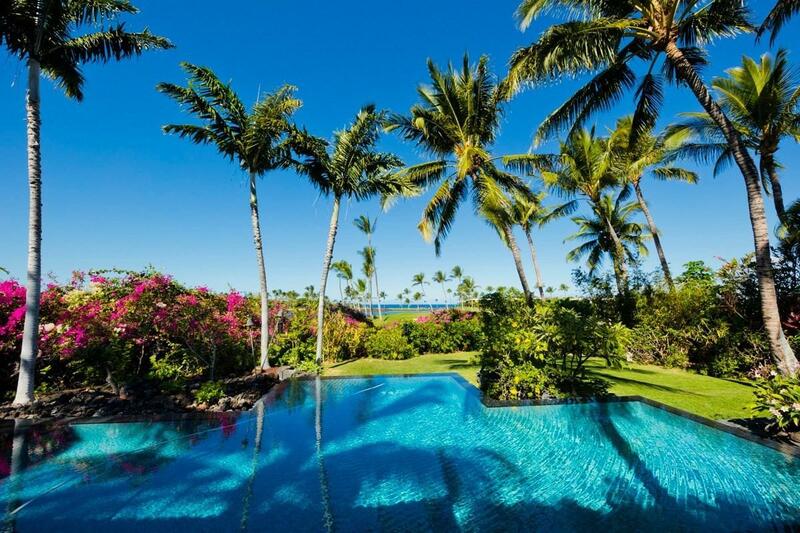 Overlooking Honoka'ope Bay at Mauna Lani Resort on Hawaii's Kohala Coast, this gorgeous property comprises several separate Hawaiian hale-style structures. The 6,789 + sq ft of interior living area is complemented by over 2,000 sq ft of idyllic outdoor living space. 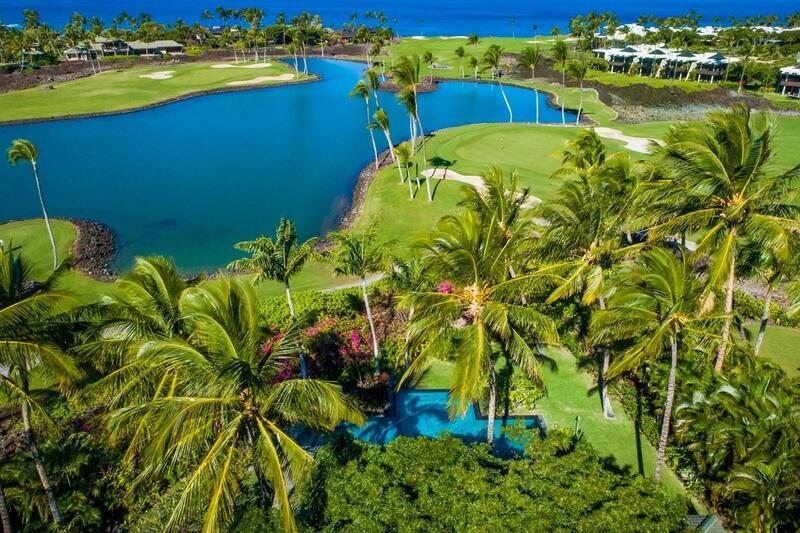 In the center of it all is a large Ipe deck with an inviting pool and an entertainment pavilion that offers views of Mauna Lanis South golf course and the ocean. 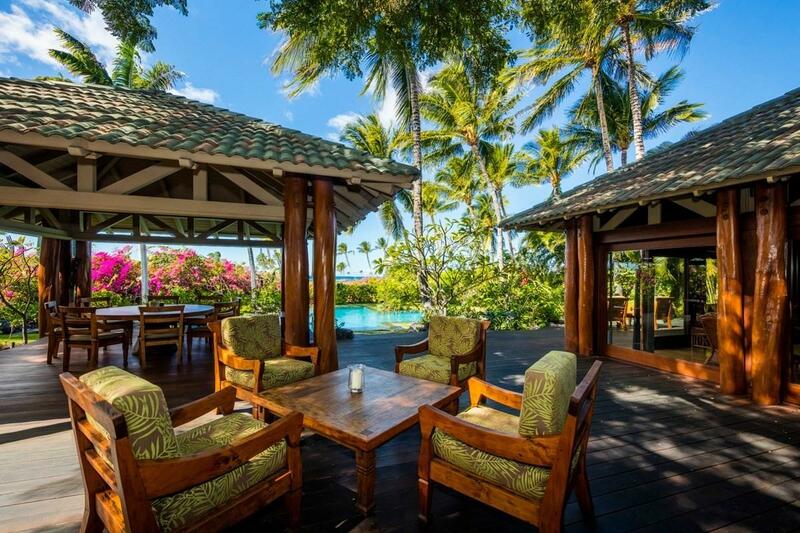 Adding to the serene tropical atmosphere is a koi pond and lush landscaping including mango, orange, lime and tangerine trees, banana, and guava.Each building has lauhala ceilings and the floors are beautiful hardwoods, two being koa & the rest are special ohia. Each individual bedroom suite has an indoor and outdoor shower. 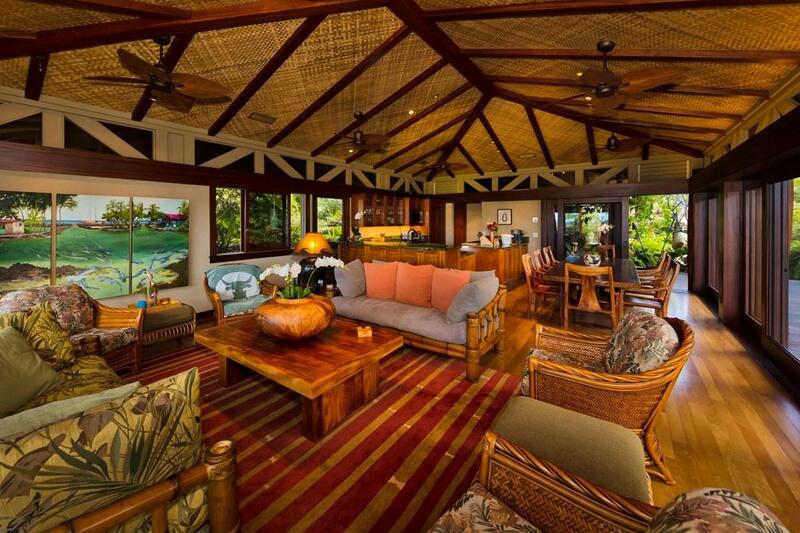 The property is offered furnished with elegant koa and teak furniture.49 Black Sand Beach is a luxurious private enclave that provides owners exclusive access to amenities for the community as well as all the benefits of ownership within the Mauna Lani Resort.Come see for yourself how the rugged bluffs of the Kohala coastline, the black sand beach at the bay and timeless principles of tropical architecture have come together to inspire the design of this one-of-a-kind estate home on Hawaii Island.